We were lucky enough to catch up with the talented Mark and Joanne from La Table Events and take a sneak peak at some beautiful photos from one of their recent weddings. 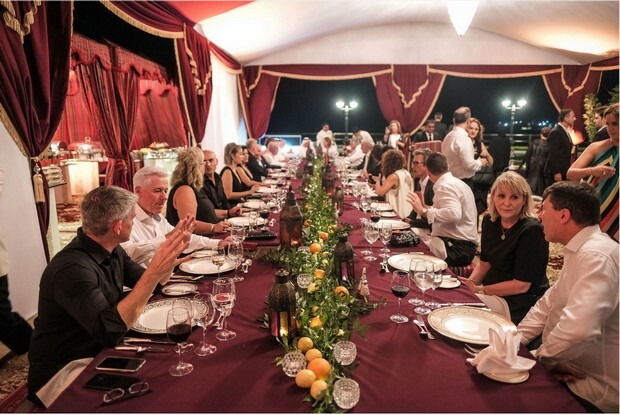 The Spanish couple are hugely grateful to the UAE and wanted a theme based around the Emirates and all the opportunities the nation has given them. 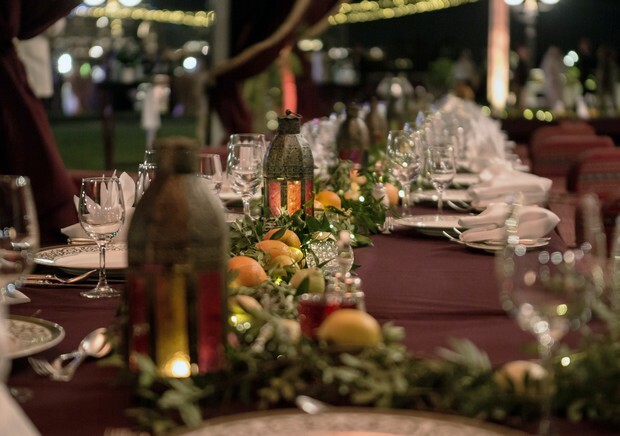 La Table Events has styled this L’Arabesque wedding with great panache and it’s simply stunning. 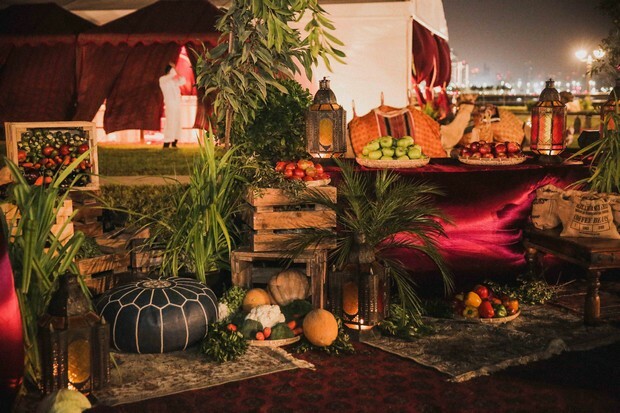 The couple selected the oasis like gardens of the Emirates Palace as their venue and it’s easy to see why. The Palace itself is dazzling (as always!) and the backdrop for the wedding is the magnificent Abu Dhabi skyline. 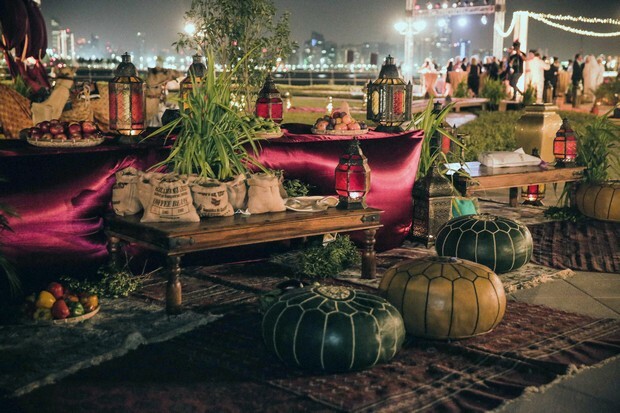 The concept was designed so that guests have a full Arabian experience. Entering the venue through a magical Arabian bazaar with all their senses aroused: the smell of rich spices, flickering lanterns and the sound of guitar music in the distance. Guests had time to enjoy cocktails whilst sampling some local delights and there was even a chance to have a photo with camels! 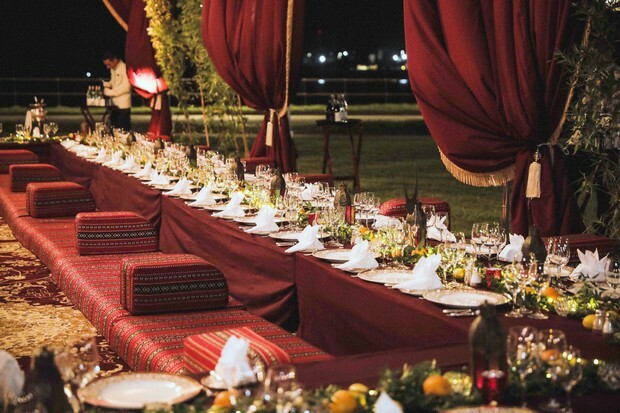 The main curtained tent for the wedding feast was adorned with rich maroon and gold. 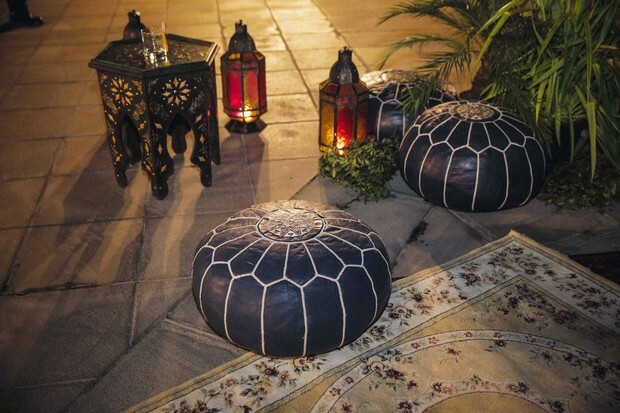 The low tables had simple but elegant centre-pieces with fresh greenery, zesty oranges and lanterns. 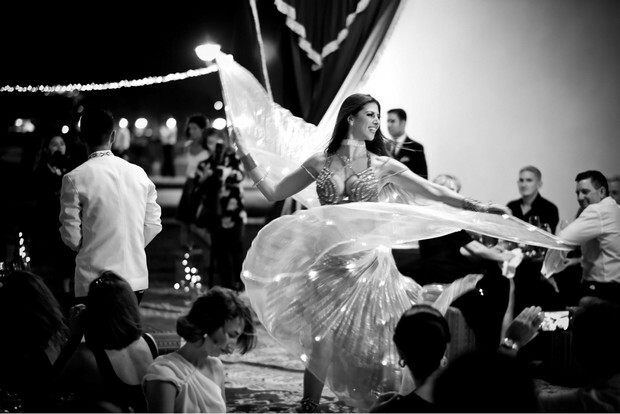 Guests, while dining on delicious seafood, enjoyed a spectacular show by belly dancers, drummers and guitarists. The bride and groom had a unique spin for their wedding clothes. They asked all their guests to wear either black or white while the bride wore a stunning colourful dress. It certainly added to the drama of the event! It was then time to dance until the break of dawn. 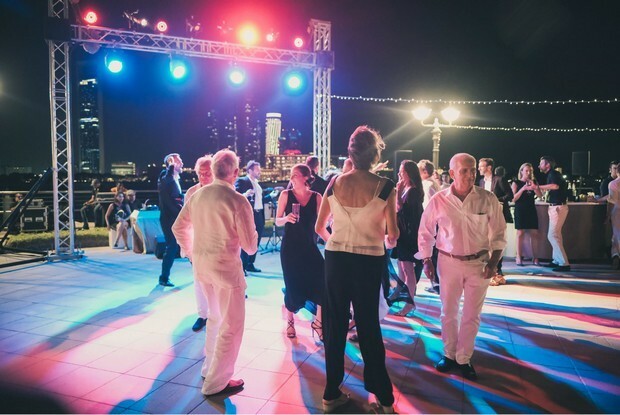 If you’d like to see if Mark and Joanne from La Table Events are free to inspire and design your big day, pop over to their profile page or give them a call on +971 242 2206. Images courtesy of La Table Events and Melrish Photography. 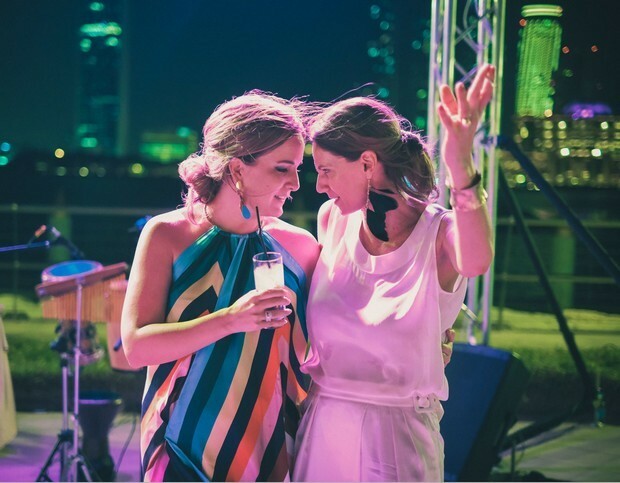 The girls from the UAE's newest wedding community with real weddings and lots of gorgeous inspiration! Real Weddings | 3 of our favourites!